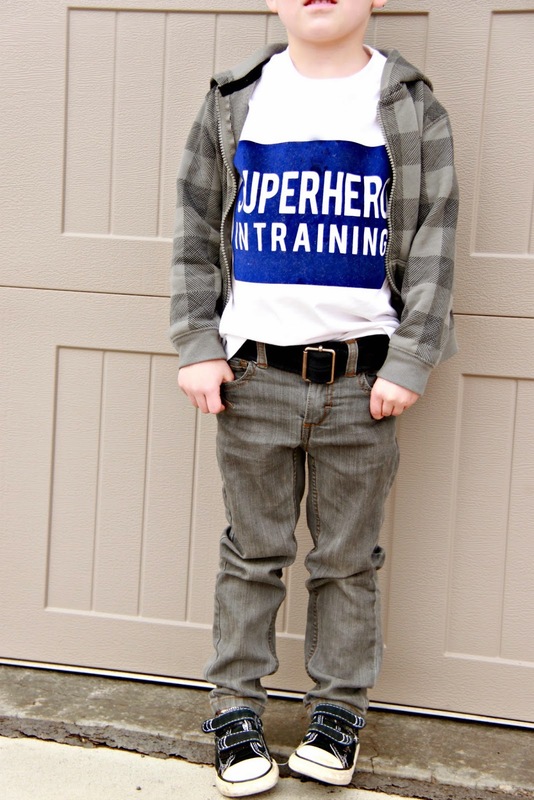 Superheros are a big deal around here. 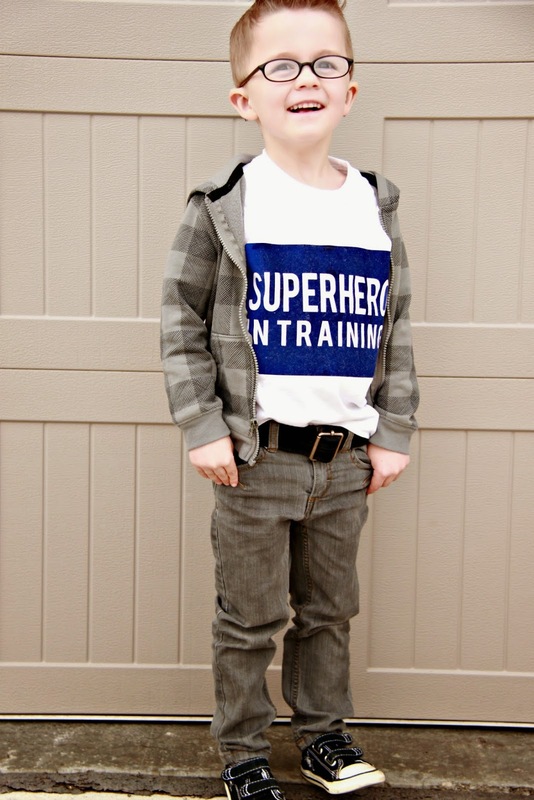 Well, I have four Superheros in training to be exact. That is a pretty big deal. I figured I should make a shirt declaring their future world saving status. That way their awesomeness would be clear. 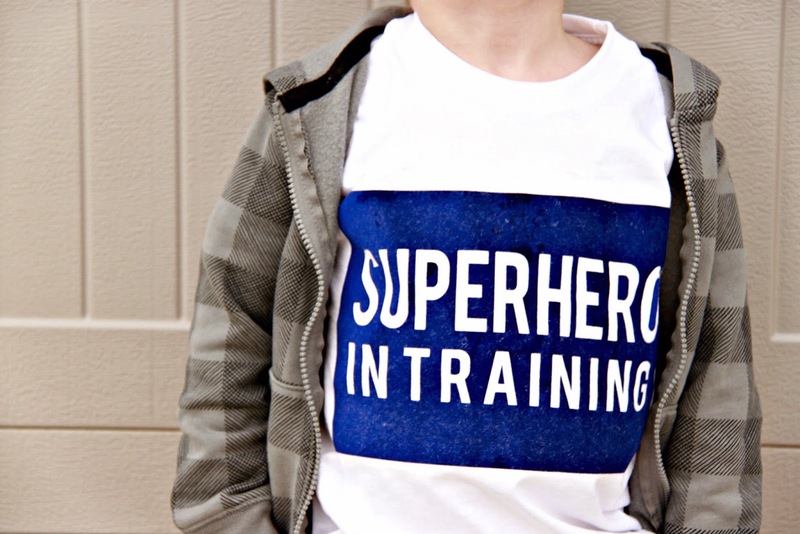 Hence, this Superhero In Training T-Shirt. I used Expressions Vinyl flocked heat transfer vinyl and cut it with my Silhouette. I used a simple rectangle shape and block lettering. I used the negative space for the letters. It was a quick and fun project that brought immediate joy to the wearer and the momma. 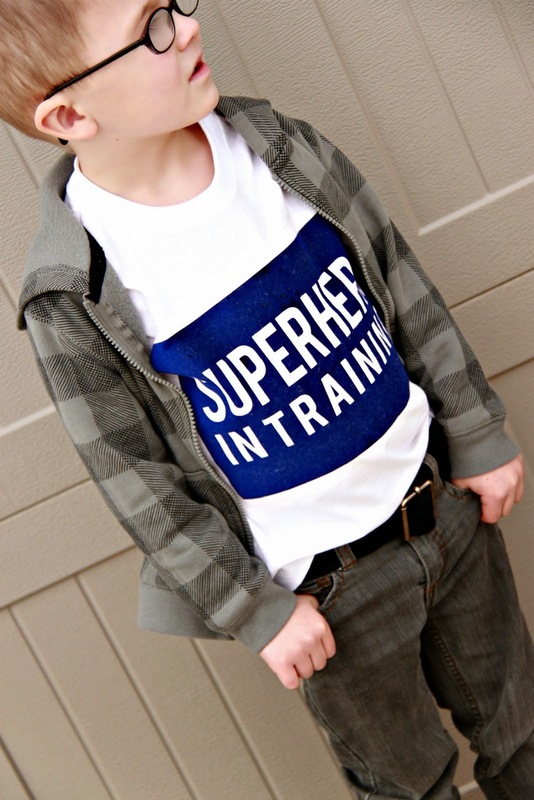 He loves this shirt, as would any superhero in training. 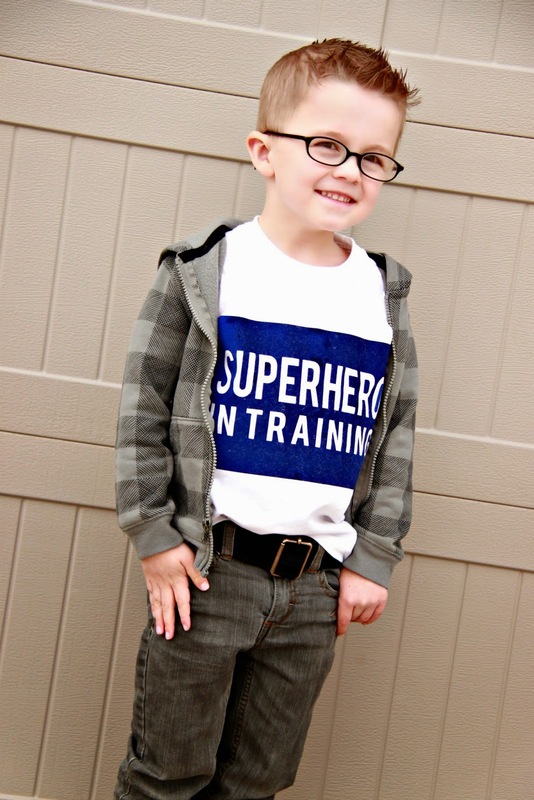 I think this superhero's superpower is cuteness. 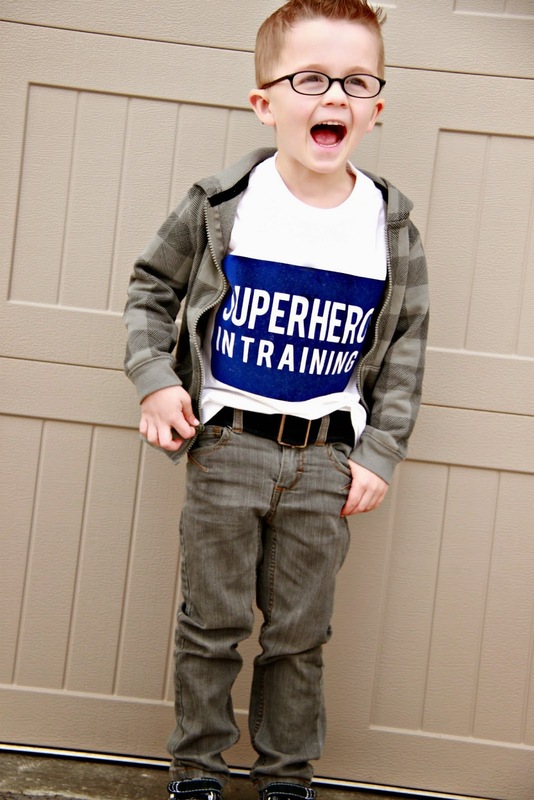 Do you have Superheros In Training at your house? They might need a shirt like this. Love the shirt! My little boy would love one of these.